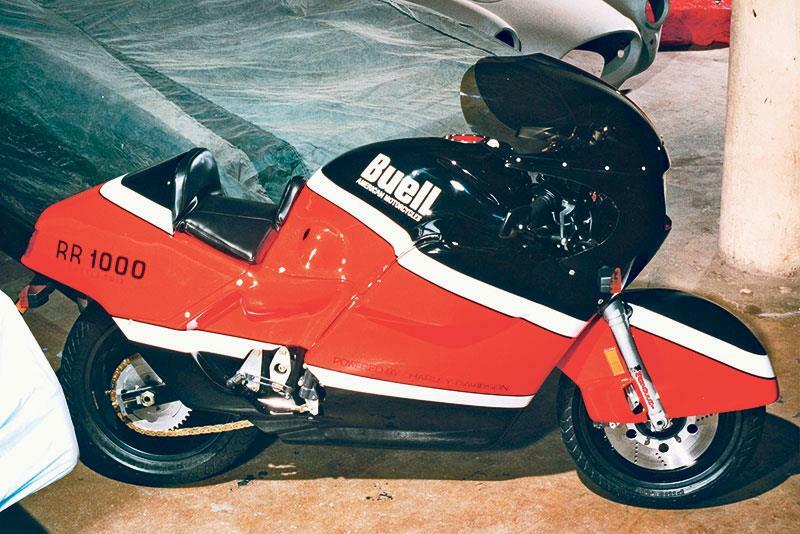 ﻿ Whatever happened to Buell Motorcycles? ounded by the charismatic engineer Erik Buell, Buell carved out a reputation for performance machines wildly at odds with what you’d expect from an American bike. They were light, quick steering and innovative. Then in 2009, after six years of stuttering, they were gone. Erik Buell? Is that an anagram? Erik Buell is a 66-year-old engineer, entrepreneur and ex-racer. 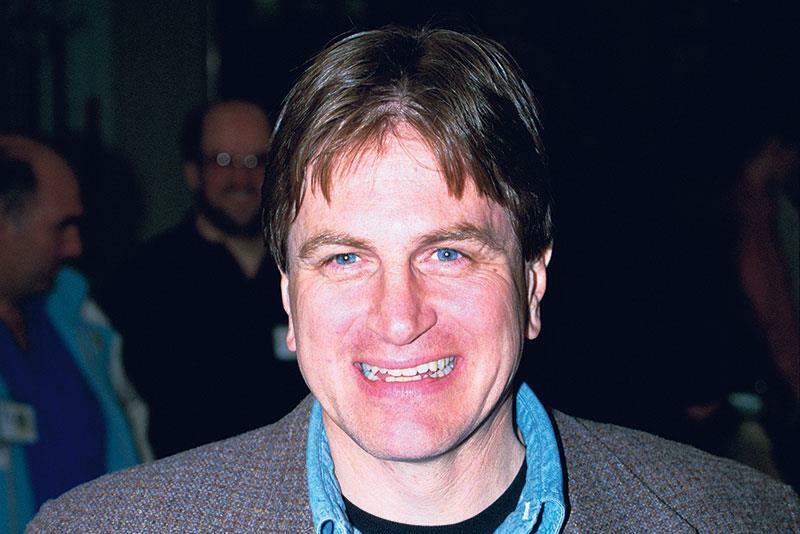 He grew up on a farm in Pennsylvania, put himself through engineering school at the University of Pittsburgh by working as a bike mechanic, raced in the AMA Superbike and Formula One classes, and spent 14 years working for Harley before founding the Buell Motorcycle Company. The first bike he designed and built was the RW750 in 1983. The two-stroke, “square-four”, rotary-valve engine was built purely for he himself to race in the Formula One class. What makes his bikes so special? Technically imaginative, performance-focused design. Buell applied the concept of mass centralisation long before Honda claimed it for their own. A typical Buell is short, light and steers like nothing else. It may also carry its fuel in the frame and its oil in the swingarm. Watch out, too, for a rim-mounted front disc brake. As Buell himself put it: “Our design DNA is radically different.” From the early years of production in the 1980s his bikes were characterised by taking Harley engines and putting them in a stiff and light chassis combined with a rubber-mounting technique patented as the ‘uniplanar’ system. The use of the engine as a fully stressed member of that frame was key, as was rear suspension planted beneath the motor and a host of other tweaks designed to bring all the bike’s weight as close to the centre of gravity as possible. So why do I hardly ever see a Buell on the road? Limited availability. The RR1000 was Buell’s first entry into the sportsbike market. They built 50 of them before they ran out of XR1000 engines. Production grew but even at Buell’s peak the figures were never huge. Only 40 RSS1200s were built in the summer of 1991; in 1993 just 325 RSS and RS models combined were put together, while in 1994 the Thunderbolt S2 (plus the touring version, the S2T) sold 1000 units all told. By 1999 – buoyed by, amongst others, the addition of the Lightning and Cyclone bikes to the range – global sales hit 8000, and in 2008 had risen to 15,000, but it was too late for Buell by then. Too late? What went wrong? The global financial crisis of 2008, combined with an unsuccessful partnership with Harley-Davidson. Harley had bought a minority share back in 1993, but in 1998 bought 98 per cent of the firm, theoretically giving Buell the clout to finally become a global success. When the economy faltered Harley lost a fifth of their sales in a single year, prompting management to shut down all its non-core divisions, which included Buell. The last machines built at the factory in East Troy, Wisconsin were donated to the Barber Motorsports Museum in Alabama. Erik, meanwhile, was left with nothing, not even the brand name that he’d built up since 1983. Finding himself with “a lot of time on his hands”, he released a blues album under the name Erik Buell and the Thunderbolts. Why didn’t they sell more bikes? “Erik wanted his bikes to look unique, and if you deviate more than 10% from the norm, there’s only a certain level of newness a customer will accept,” said one commentator. Buell had tried to meld two worlds together: that of the Harley-riding ‘biker’ and that of the motorcycle enthusiast who loves the handling of a sportsbike but also has a soft-spot for the rumble of a powerful American twin. The appeal was admirable, but – it turns out – too niche. Poor build quality didn’t help, either. Erik started Erik Buell Racing and continued to make race versions of the 1125R. The 1190RS and 1190RX, both street bikes, came in 2011 and 2013. Indian firm Hero Motocorp paid $25m for half of EBR in 2013 but the business filed for receivership two years later.